Tyler Scully’s rich, impasto, Expressionist paintings are an oasis for lovers of contemporary figurative painting in the tradition of Bacon and Auerbach. I discovered Scully on Instagram under the account scepters_art about a half year ago. When I look at art, my opinion comes first. I like the art that I like. Sounds like a tautology worthy of Popeye, but, it means that I value art as having quality in direct proportion to how much I personally appreciate it (as opposed to where it’s hung, or how it is justified in art history). This isn’t to say that I don’t love art history, or the big name artists, but rather that I like to discover new artists on my own. 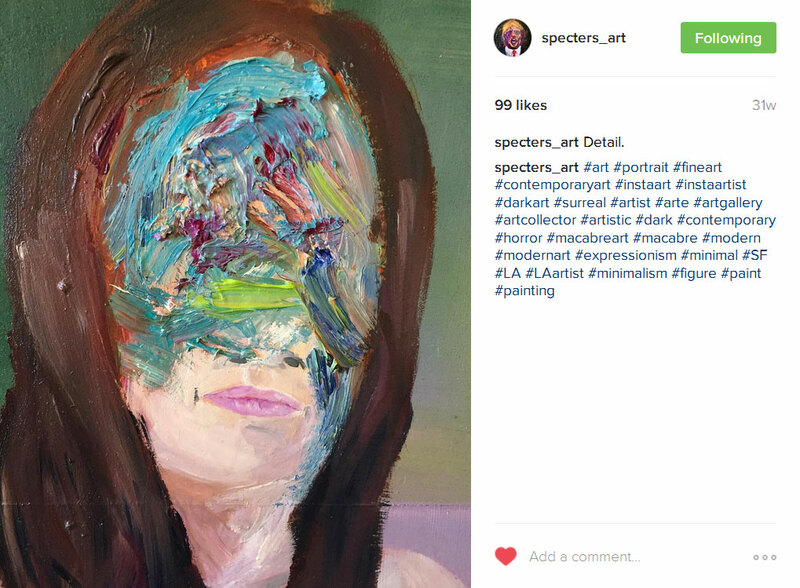 I don’t know anything about this artist, and I haven’t seen his work anywhere except on Instagram, but, for me, he’s an instant hit, and one of my favorite living painters. 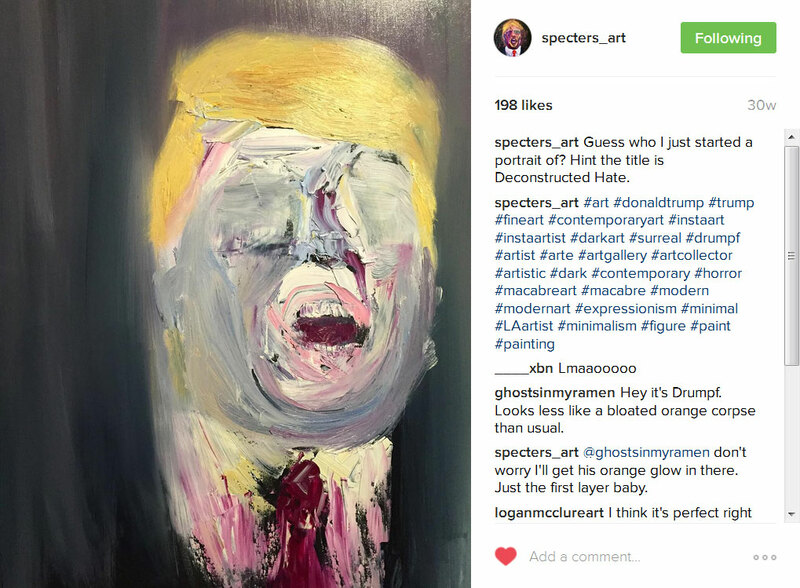 The paintings of Trump are the easiest way to access his art. One of the defining features of Scully’s art, and what separates him from Bacon and his ilk are the eyes. Whichever way the face is tortured and contorted in violent swirls and slashes of paint, there’s almost always one good eye. A beautiful eye, the more beautiful for being preserved among the torrent of painterly flesh. Ah, and the eye may be set off in a different, often complementary color. I’m thinking the eyes allow us more intimacy with the subject: we can look in their eyes and assay their predicament. This art is, much like its art-historical predecessors, about the human condition. Why some of the most visually sumptuous painting is often bundled with the kind of insight into the human condition I usually get from short-stories, I don’t know, but it’s a great combo. Look at THIS eye, and this painting! The eye is gentle, vulnerable, unerringly human. 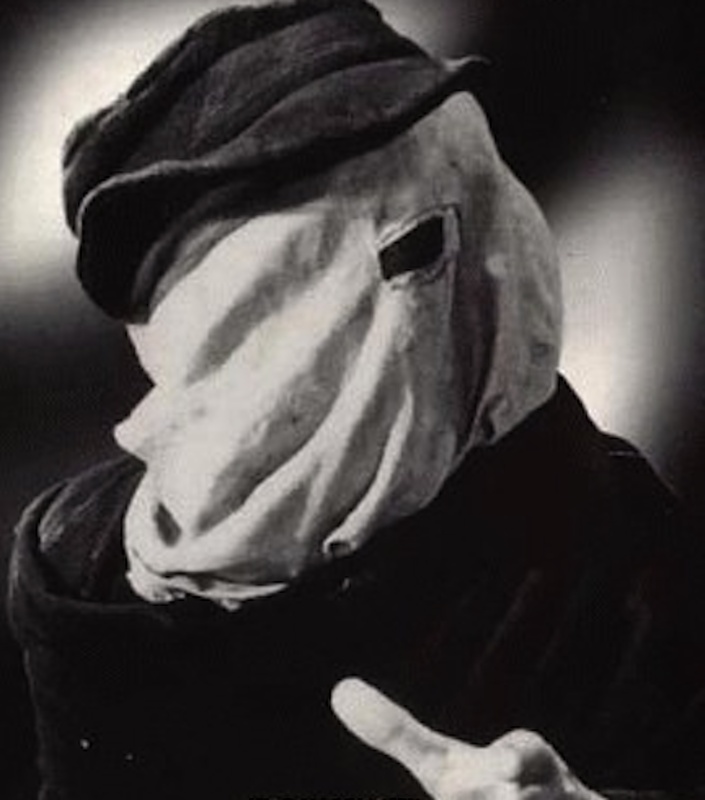 I’m reminded of “The Elephant Man” with his one eye peaking out of the sack he wore to cover his hideously deformed head. 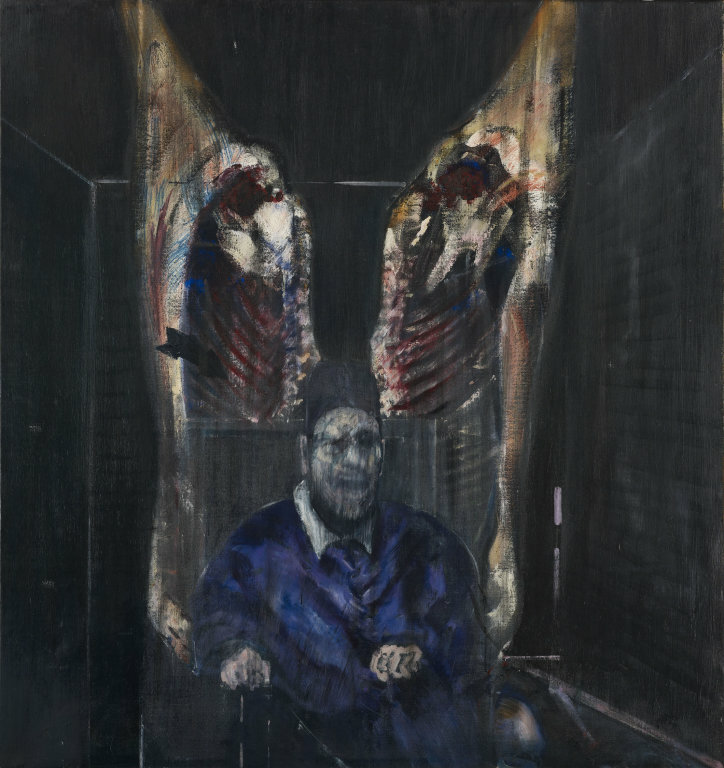 Some critics accused Francis Bacon of reducing his subjects to meat – no more than a carcass in an abattoir. 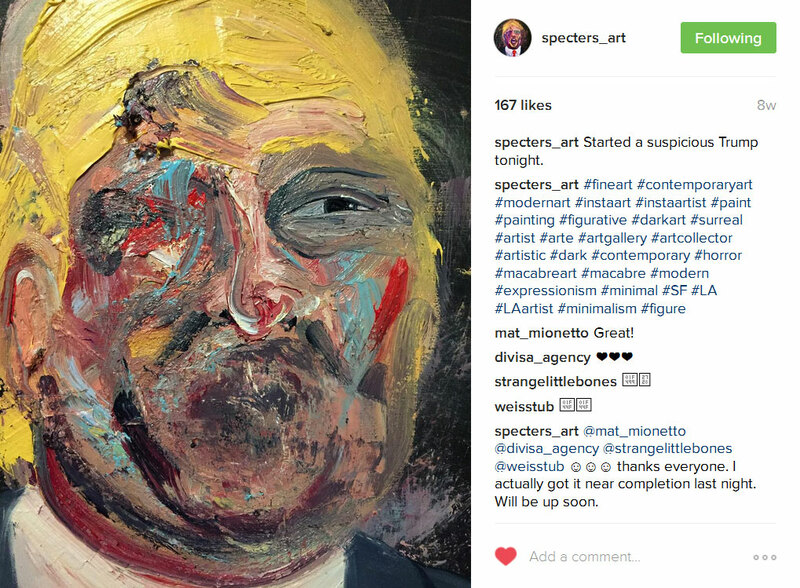 Of course, that completely missed the point of Bacon’s very personal paintings of his most intimate friends, as I’ve argued here, but with Scully’s paintings there’s no question that somebody is in that pummeled, tenderized, heap of flesh: the proverbial window to the soul is open. And check out the angry contusions of paint making up the visage of the woman (who I nevertheless think of as beautiful because of the one eye)! The paint is sumptuous. What rich shades of mustard, mud, earth, clay, reds, oranges, violets, blues, and a delicious morsel of turquoise. That pulverized face is pie a la mode for the ravenous eye. Yummy! The ugly, in one way, is the beautifully painted. “Der Elefantenmensch”. Hee, hee. I said it in German because it sounds funny = “Elefantenmensch”. I gotta make me a Der Elefantenmensch painting of my own, with that title. Let’s look at some more Trumps. Wait, but first, look at the color on the beauty below. Ah, man, that forehead is decadent. If this painting were food, it’d be loaded with calories. Look at that cake frosting on the forehead. And then there’s that bright iguana-green in the, uh, nose area, which is the complementary color of the pink lips. THAT didn’t come out right. 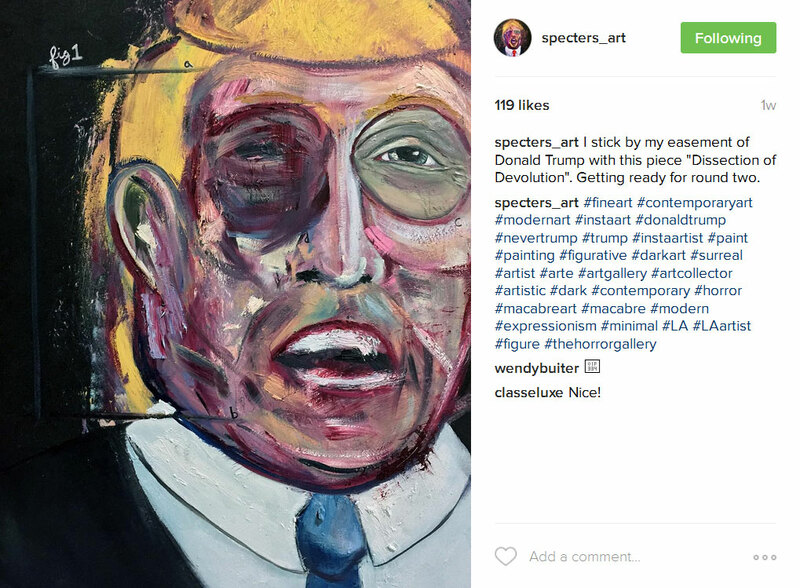 I suppose I don’t need to belabor the obvious to tell you that these Trump paintings are not endorsements of him as a candidate for president. Quite the opposite, I’m sure. But I don’t want to get into the dreadful politics we’ve all overdosed on, other than to address that Scully portrays Trump as a an obvious brute, a seething and hamfisted despot. That’s the impression I get, anyway. Fans of Bacon will be reminded to his portraits of the Pope. Bacon saw the pope in question as a snarling figure of power, and sought to undermine the power by showing him as a vulnerable corporeal entity, subject to the natural fate of all flesh, and despite his near supernatural status. Scully does something similar with Trump. Demagoguery is revealed as barking corpulence. Great color in the painting above, and notice how the knot of the tie is sculpturally a big ball of a knot as well. He’s a blue man here, the opposite of orange, with fire-engine red flourishes on his face to suggest his ruddiness. I was going to say that this Trump eye was not as sympathetic as some of Scully’s other eyes, but in the close up, there’s a human in the shadow of the upper lid on the eye, the blood in the corner of the eye, and the delineation of the pupil from the iris. The monster is human! He’s one of us! We hope it’s not contagious. I’m guessing at this point that Donald won’t be investing in any of these to decorate the suites in Trump Tower. Just a guess. Here’s a close-up of one in progress. The other day I went through several pages in a sketch book trying to hone a caricature of Trump. I never really nailed it, but Scully seems to capture something of the stain of the man (ew), while wildly distorting his flesh. That’s that thing Bacon used to do where, as badly as he mutilated his subject’s painterly incarnations, he managed to capture something of their actual appearance, without rendering it. 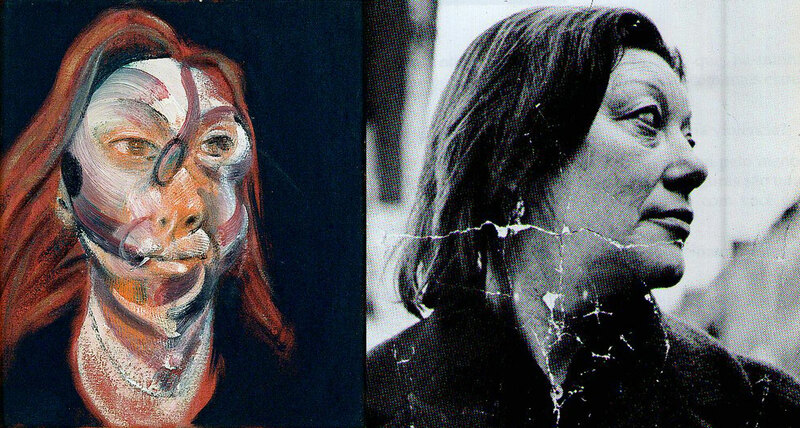 Francis Bacon’s painting of Isabel Rawsthorne, and a photo of her. Above. Bacon’s painting of Isabel Rawsthorne looks all the more like her for suggesting the actuality rather than merely copying the form. And here’s another Trump-in-progress. 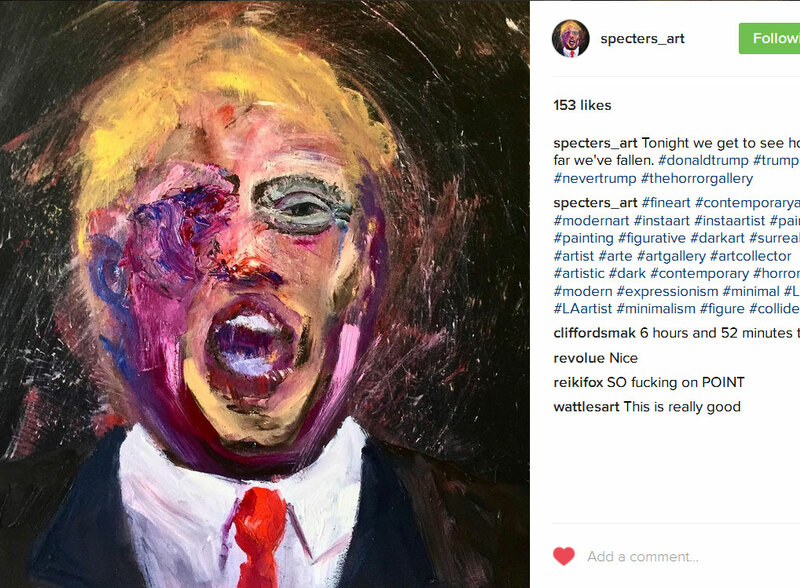 I’m getting that this must be a bit cathartic for the artist, a sort of vomiting up Trump in paint. I started this article by saying I know nothing about Tyler Scully because I wanted to emphasize the direct interface with art one can have, without any need for interpretation, background information, historical context, or justification. However, subsequent to writing it, and sharing a password protected version with the artist before releasing it to the public, he contributed a bit of clarification on a couple points. The struggle with physical paint as content beyond what it represents can be traced back to at least Rembrandt, through Monet, Van Gogh, the Abstract Expressionists, and the British figurative painters such as Francis Bacon and Frank Auerbach… Some people just love paint, and all the vicissitudes of it. I’m one of them. This confirms what I articulated earlier: the sympathetic focus on the humanity of the subject in relation to his or her environment and circumstances. 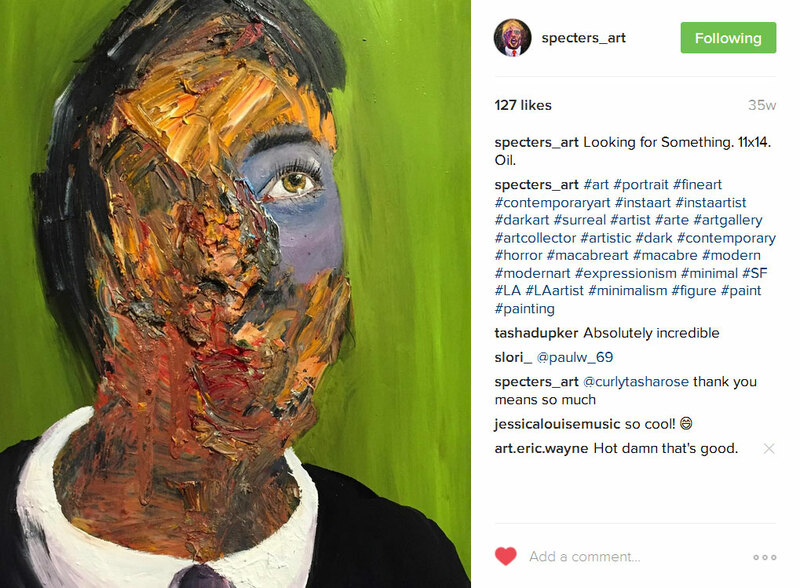 If I were a collector (if I had surplus income) I’d snap up some of Tyler’s paintings while they are still quite inexpensive compared to more established artists. Most of the works on his ART BANGBANG page are under $500, probably because they are small, which is basically parts and labor. 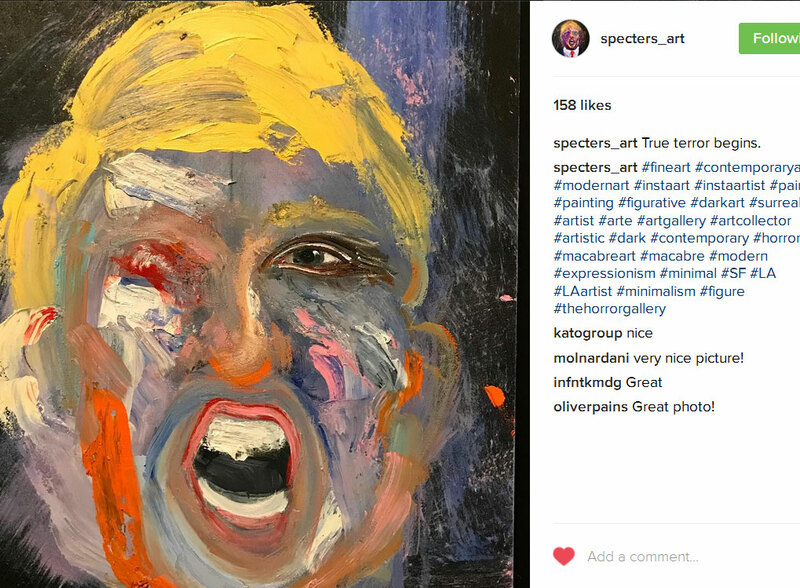 I asked him the range of prices for the Trump paintings, and will update this article as soon as I hear the result. Incidentally, I’m not getting anything out of this and don’t know the guy, his art education, his age, or even what he looks like. 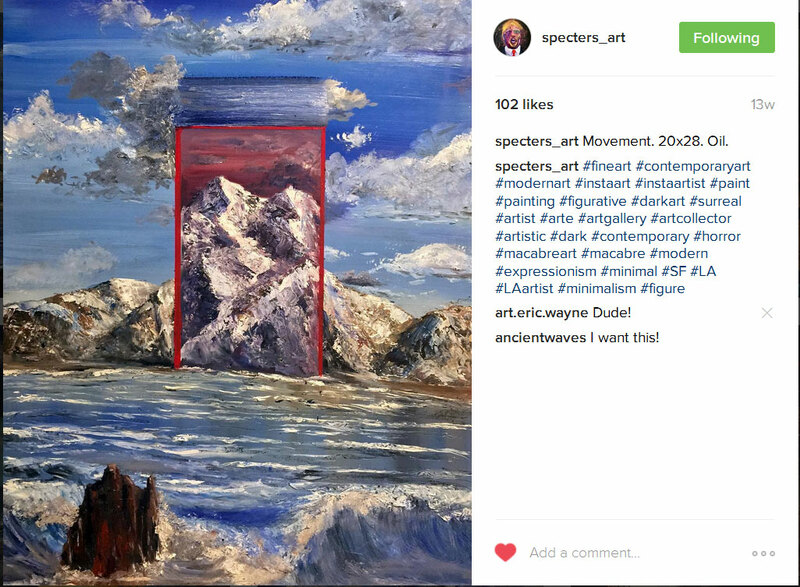 I do, however, see something unique in these paintings, and a lot of potential (he’s also working with landscape, and in an usual way), which is why I recommend collecting his art. Update: I just heard back from Tyler. Those Trumps are just $300. Personally, I think they are worth a minimum of $500. This guy is a REAL artist (because he has vision), but he sells his work for the price of any amateur who merely completed something on canvas. 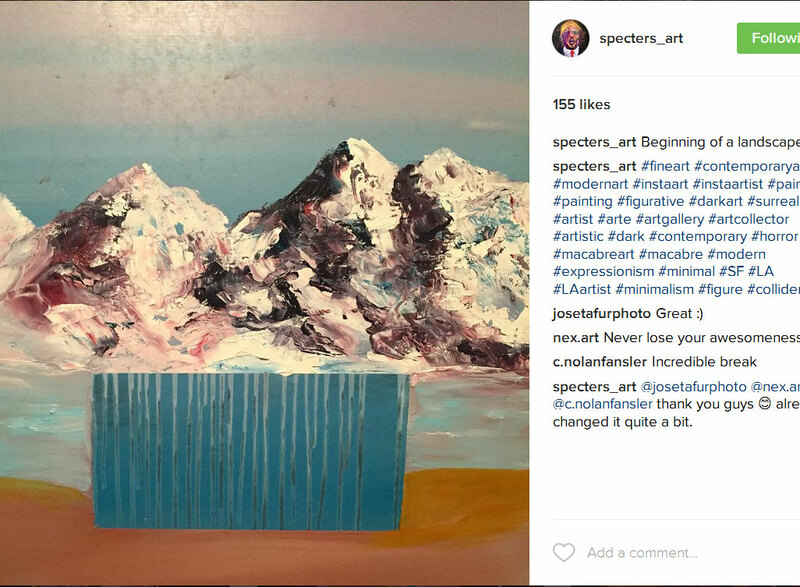 That’s what you do in a tough art market and art world that has lost appreciation of the painted image. but, hopefully, this will change. Below is a click-through gallery with some more pieces, plus all the ones featured in the article. 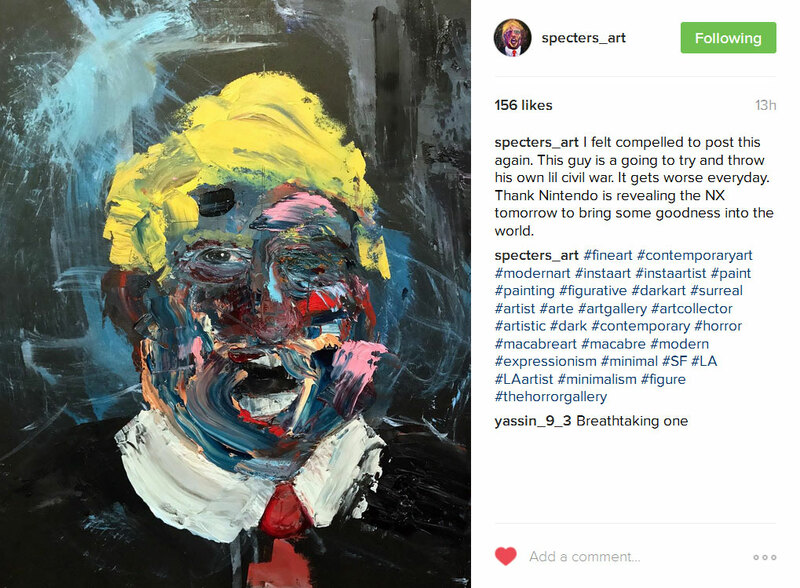 If Trump is elected, I can at least take consolation knowing that Tyler Scully will probably need to make a lot more cathartic, painterly eructations of Trump in the coming years. If not, we may get more landscapes and women. 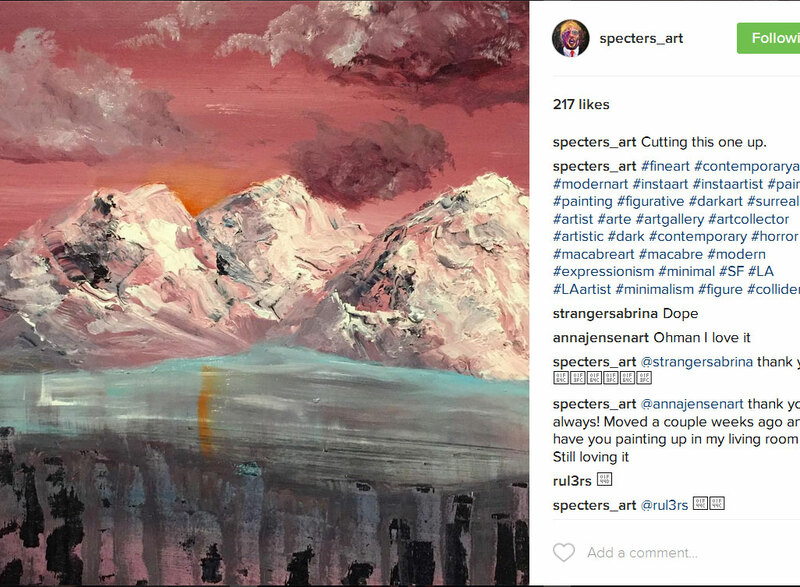 I can’t predict what Tyler Scully will paint, or where he will take his imagery next, which is a very good thing. 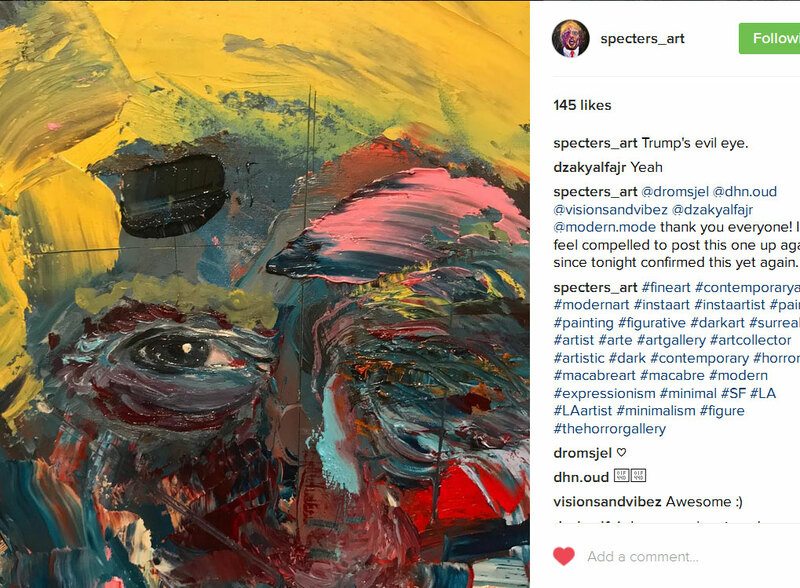 Posted in art criticismTagged art, contemporary art, Donald Trump, Expressionism, Francis Bacon, Frank Auerbach, painting, portrait, Specters_art, Tyler ScullyBookmark the permalink. Guttural. I enjoy the paintings as paintings in their own right. They’re not exactly satirical either. I’m surprised at the absence of finger gestures. Finger gestures are a great idea. I’ll take that idea and work them into my caricature, if I do more of it, which I will if he gets elected. I invited Tyler to do an interview, but he didn’t get back to me about that. Otherwise I’d expand the dialogue some more. Do we live in a simulated universe, Part 2: Rejoinder to Nick Bostrom.